Own a self-sufficient, 1920's village! Stepback, Georgia is a secluded community envisioned and built by Roger Pierce and friends to remind us all of days gone by. Stepback is a celebration of the way our families lived and worked, through the good times and the bad, across our great nation. 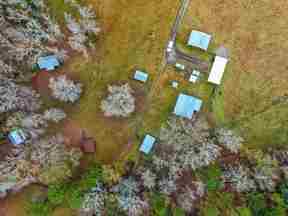 2 rustic homes with power, 3 guest cabins, 6 wells, one gets 200 plus gallons a minute, 3 active springs, rolling pastures and timber. Enjoy the village, raise some cattle on nearly 116 acres and water them at the pond or creek. Fall off the grid or populate a town. The biggest herds of deer ever seen in Putnam County are here, have counted as many as 58 at one time. The woods are full of wild turkey and squirrel. There are 6 working wells on the property.